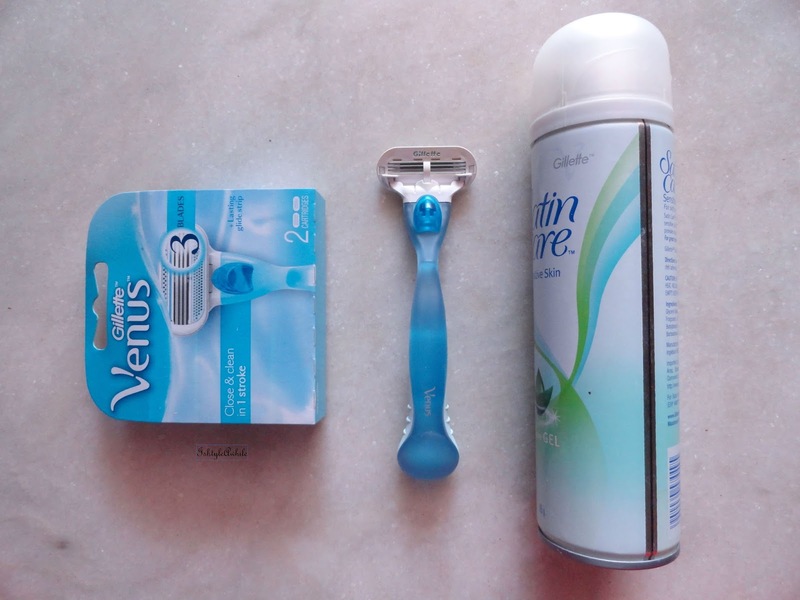 Win your own Gillette Venus Shaving Kit. For 4 weeks now I have been shaving regularly and I am as ready as ever to give you all some tips and tricks to help you get the smooth as ever shave. Before we get into that let me answer the questions that I get asked about hair removal creams versus shaving. Like any typical Indian girl, I was introduced to hair removal creams as the first mode of getting rid of excess hair. My biggest issue with that was always the terrible smell and the fact that I have to literally time it to see when to remove the cream. 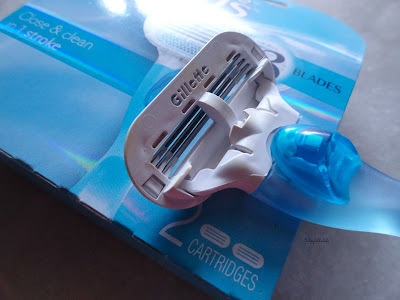 The day I got a razor I realised that I was saving so much more time. The time it takes for me to wait for the hair removal cream to do its job, is the amount of time it takes for me to get done with my shave. As an shaving veteran, here are my top tips and tricks to making shaving easier. 1) Start with the flat surfaces- sides of the legs, top of the arm etc and then work your way to the nooks and crannies like around the ankles. These regions are easy to do when you've gotten into the flow of shaving. 2) Shave in a methodical manner- I like to start from one side of my leg, work my way around to the back to the leg then shave from the other side of the leg to the back of the leg. This way you won't miss out on sections. I know how irritating it can be to shave and then notice that you have missed out on removing some hair from one part of the leg. This always happens to me near the shin bone. Also follow a pattern. I always do legs, arms and then underarms. This way it becomes a routine and you don't need to put too much of thought into it. 3) Break the task over days- As fast as shaving is, sometimes we don't have time even for that. It is more like pour 2 mugs of water, use shower gel, rinse off shower gel and rush out of the bathroom. So I generally split it over 2 days. I do my arms and underarms one one day and the legs another day. I do my underarms the most because hair doesn't grow too fast on my arms and well I don't wear dresses or skirts too often to show off my legs. 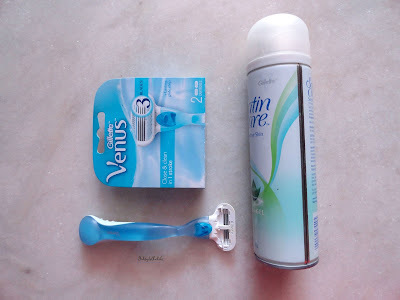 4) Alternatives for shaving gels- I just recently started using the Shaving Gel from Gillette. Normally I like using a conditioner or shower gel. Sometimes I use til oil, soak in it a bit, then use a shower gel and shave. I find that this makes the shave smooth and also reduces the dryness post shave. 5) Post shave care- This is really important. I like to use a light body oil after shaving. If you aren't a fan of body oils, then mix it in your moisturiser. Alternatively you could use a body butter. I suggest using a slightly more hydrating moisturiser even the say after you shave. 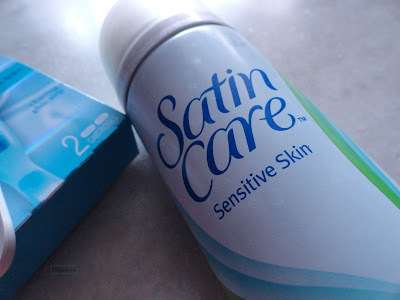 This way the dryness is less and keep any itchiness at bay. This are my top 5 tips for a clean smooth shave every time. I know that that Gillette Venus is definitely going to remain as my best friend this entire summer. What about you? 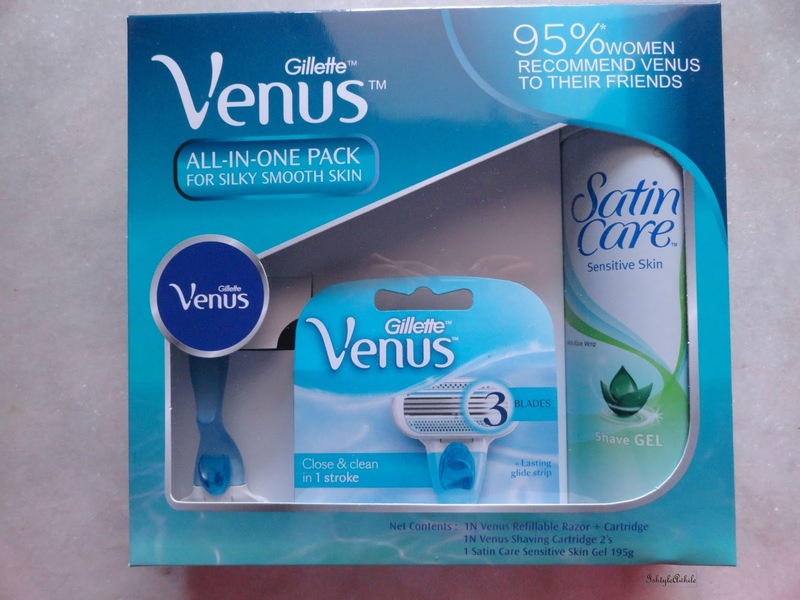 If you want to win yourself a complete Gillette Venus set - Razor + blades refill + gel, then just enter the giveaway. 1) Subscribe to IshtyleAwhile by email. 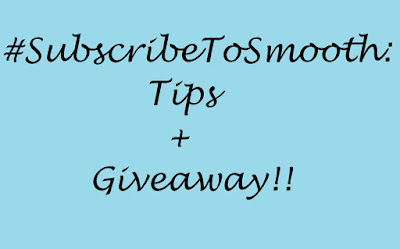 3) Comment below with your name and any tips you may have to share for a smooth clean shave. 4) Open to Indian Residents only. So go ahead. 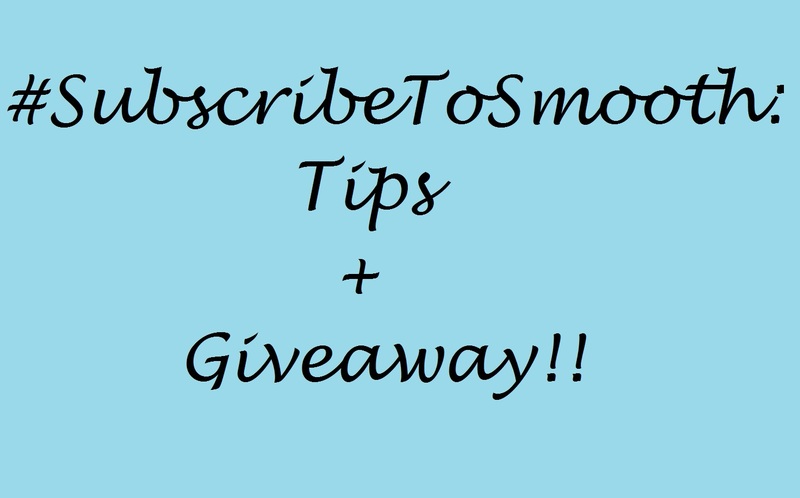 Enter the giveaway and make sure you #SubscribeToSmooth this summer.